another one I really like of the family about them spelling out words stood on the sea wall... the first one is I heart U...I love you and then they came up with a 3 letter word....POO! Just realised this is my 500th post.....I should have planned something special but it is too late now! Congratulations on 500 posts! That is an achievement and something to celebrate. 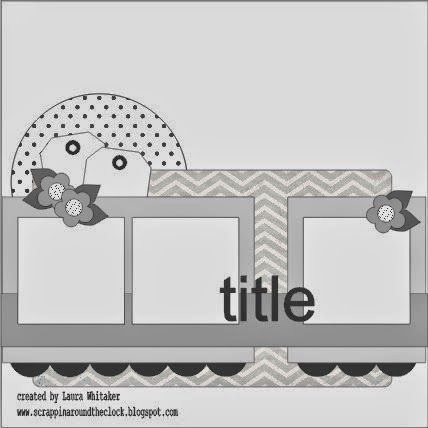 Love how you used this mood board and photos of your family having fun. Congrats on your 500th post. I think you've combined the 2 challenges so well on this page. Woohoo, 500! Loving the "cork" background. Great photos and 500 posts....congratulations! Great take on the sketch! Thanks for playing along with Stuck?! Congrats on your 500th post. Really laughter at the three letter word you selected. Great take on the sketch too. Thanks for playing along with us at Stuck?! 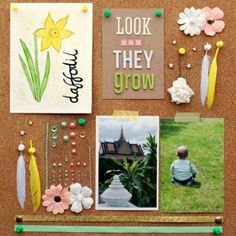 I've seen this inspiration board pop up a few times now. I really like it and especially like what you've done with it. I love tags. And congrats on 500! 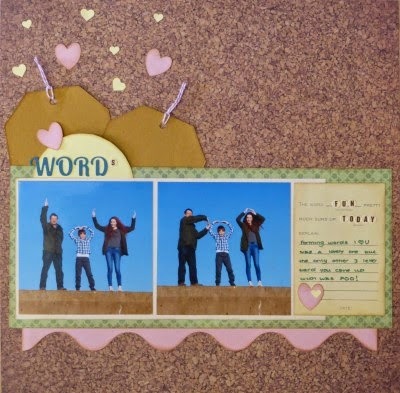 Brilliant photos Ruth - must try that for an activity shot some day - love the use of tags and hearts.